Shrewsbury – Josephine B. 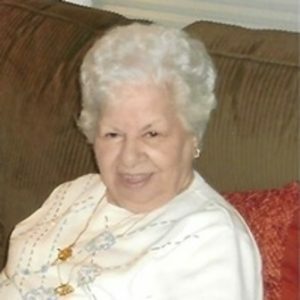 (Daboul) Cote, 90, of Shrewsbury, passed away peacefully July 31, 2018 at Beaumont Rehabilitation and Skilled Nursing Center. Her husband, George E. Cote, died in 1998. Josie is survived by three daughters, Mary Rose Casey and her late husband Michael of Shrewsbury, Patricia C. Cronin and her husband Daniel, and Deborah A. Simone, all of Shrewsbury. Josephine also leaves a brother, Joseph Daboul of Worcester, and a sister, Elizabeth Abdella of Shrewsbury. Josie was the proud grandmother to nine grandchildren, Kimberly, Christopher, Lesley, Courtney, Leah, Daniel, Kevin, Christina, and Jillian. She also leaves 13 great-grandchildren, and many nephews and nieces. She was predeceased by three brothers, John Daboul, who was killed in action during WWII, Peter and Anthony Daboul, and five sisters, Sadie Daboul, Lena Daboul, Mary Webb, Ida Healy Ranno, and Rose Daigle. Josephine was born in Worcester, daughter of the late Jacob and Mary (Lischa) Daboul, and had lived in Shrewsbury since 1951. She worked many years as a cook at the Shrewsbury Children’s Center before she retired. She was a member of St Anne’s Church and also Our Lady of Mercy. She enjoyed playing Bingo and a good day at the casino! However, her most treasured times was when she was with her family. She will be sadly missed by her family and friends. Josephine’s funeral will be held Saturday, Aug. 4, from the Mercadante Funeral Home & Chapel, 370 Plantation St., Worcester, with a Mass of Christian burial at 10 a.m. in the Church of St. Anne, 130 Boston Tpke., Shrewsbury. Calling hours in the funeral home to celebrate and honor Josie will be held from 4-7 p.m. Friday evening. Interment will be in Mountain View Cemetery. Contributions may be made to St Jude’s Children’s Hospital, 501 St Jude Place, Memphis, TN 38105. To send a condolence to the family or share a special memory of Josie, please visit her memorial site at www.mercadantefuneral.com.